BASKETBALL SPOTLIGHT NEWS: Blake Harper Returning To Future Phenom Camp! 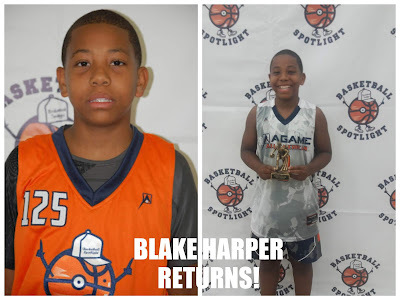 Blake Harper entered the Future Phenom Camp virtually unknown nationally and left as a Top 5 performer. The Maryland product returns to the Future Phenom Camp to battle the best in the country August 25th and 26TH in Boyd’s, MD. Are you ready to battle Blake? Register for the Future Phenom Camp!